What does QE3 mean for the real economy? So QE3 here we come. The Bank of England is going to pump another £50 billion into the economy, taking the total amount of extra liquidity since 2009 to £325 billion. It’s not a surprise, and neither should anybody be shocked that interest rates will remain at 0.5 per cent. 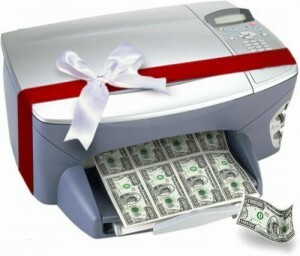 Everybody was expecting the Bank to engage in another round of money printing. But will it make any difference? The measures taken by the Bank of England and the European Central Bank over the past year to ease credit conditions have had little positive effect. The ECB’s programme of reducing the cost of its loans to banks has led to banks borrowing £500 billion from the ECB since the start of the year. But while the central banks have undoubtedly helped banks improve their balance sheets, these emergency measures are precisely that – emergency. They have done little to help the ailing economic situation. Instead, without lending requirements, the banks have continued their post-credit crunch over-reaction in refusing to lend. The Bank has rightly argued that the scheme of printing new money and buying government assets with it has helped keep a lid on borrowing costs and inflation. But there is little evidence that banks have passed on the effects to businesses. In fact, QE has actively hit pensioners’ incomes by depressing annuity rates by up to 25 per cent. What we have, is a situation where extra money worth around 20 per cent of our annual GDP has been printed, yet lending is stagnant as is the UK economy. The stand-off between government, the banks and customers continues. Stimulating lending is one of the most important tasks in staving off a prolonged double-dip recession. Many businesses are already feeling the pinch, with the likes of clothing-chain Peacocks just the latest high-street shop to close down. Without sustained bank lending, more will have to close their doors. In fact, Ernst and Young’s Item Club has actually forecast total bank loans to reduce by 2.2 per cent in 2012, with just a marginal improvement of 0.9 per cent in 2013, having increased by an estimated 4.3 per cent in 2011. Rather than rely that enough money will be printed to keep the economic wheels turning, the government or Bank of England should insist that lending targets to small businesses are kept to. There is no excuse for failure, particularly from RBS and Lloyd’s where the taxpayer is the largest shareholder. If necessary, failure to hit the ‘Project Merlin’ targets should result in fines. Indeed, the reaction of TUC general secretary Brendan Barber to today’s announcement is bang on the money, arguing that the new liquidity must get through to companies if it is to have a positive impact. The government and the Bank of England must make sure that the extra liquidity announced today benefits the real economy. There is no value in allowing it to slosh around on the banks’ balance sheets. Good article. I’d go one step further though and print money through what I term ‘Citizens’ QE. Either use a mere 3% of the current QE (£9.6bn) to give every adult a time-limited, non-transferable voucher to be spent only in local shops or on local services (as per my letter in The Guardian http://tinyurl.com/3e4jown) or print a mere 25% of current QE and use it to pay builders, architects, tradespeople etc to build the 750,000 houses ippr say we need by 2025. This latter option would give the Government an asset which they could rent out or sell. People normally differentiate current QE from Weimar Republic money-printing by saying – ah, but the B of E owns an asset which they can sell at a future date. Well why not own houses – a truly socially-useful asset and much needed by the people of this country, who would appreciate homes on hugely reduced rents or mortgages. I’d appreciate any economists (I’m not one, obviously!) to explain to me why this can’t be done, why it’s economically illiterate. Various economists I’ve spoken to point to the inflationary risk, but this exists under current QE too. I’ve been told by an eminent economist that printing money is inflationary when the economy is near the limits of capacity but can be stimulative if there is a lot of unused capacity. Surely the latter is the case now. Vouchers as I understand it, actually expand effective demand. They also have the advantage of not diminishing government revenue (as would a tax cut). I rather suspect that the establishment doesn’t want this particular cat to be let out of the bag. They have shown great creativity in their monetary tinkering on behalf of banks (claiming to be doing it on behalf of the real economy) yet as the economy potentially goes back into recession, or in the event there is a disorderly default in the eurozone precipitating another bank crash in the UK, I rather suspect the people will start demanding some monetary tinkering to actually stimulate socially-useful economic activity. Erm Peacocks is not closing down (as of yet) might want to do some research before you post up this. It means inflation, plain and simple. Agree with Newsbot9; this could prove inflationary.